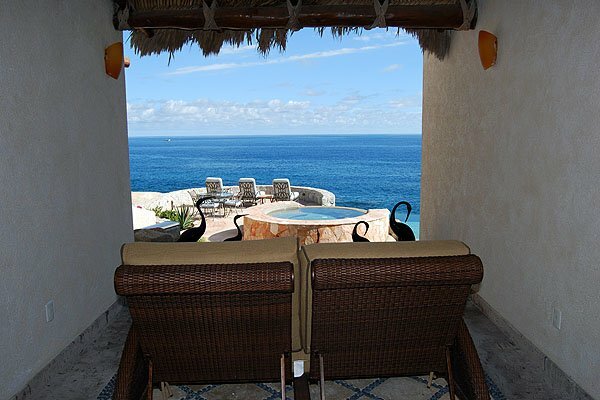 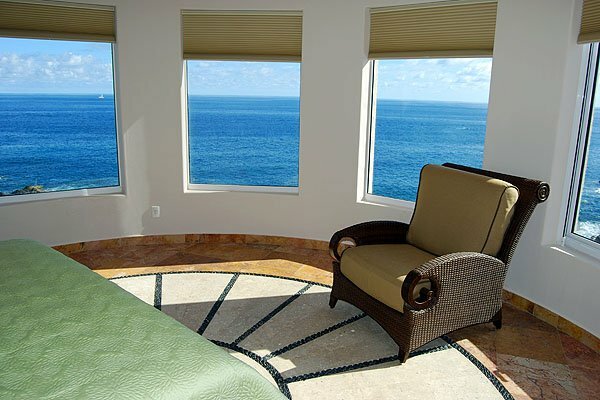 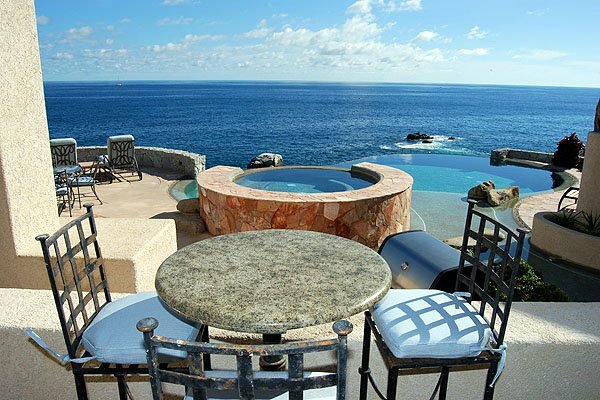 Villa Cortez is a spectacular 5000 sq. 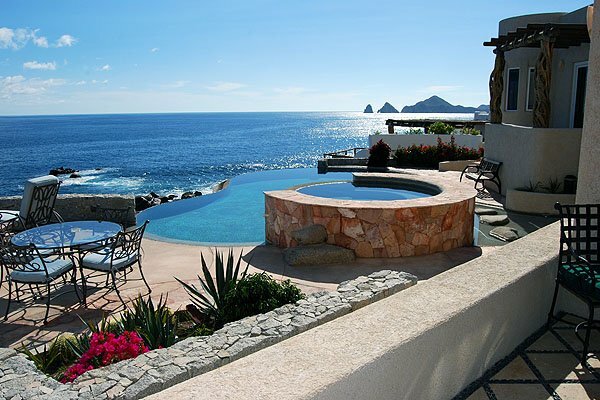 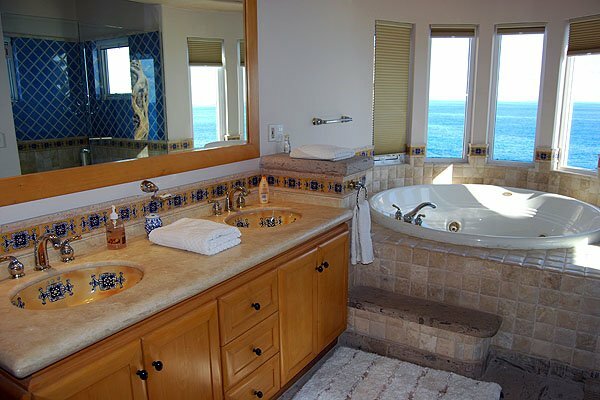 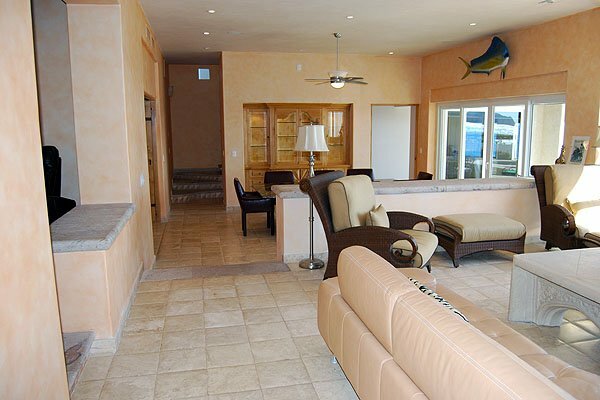 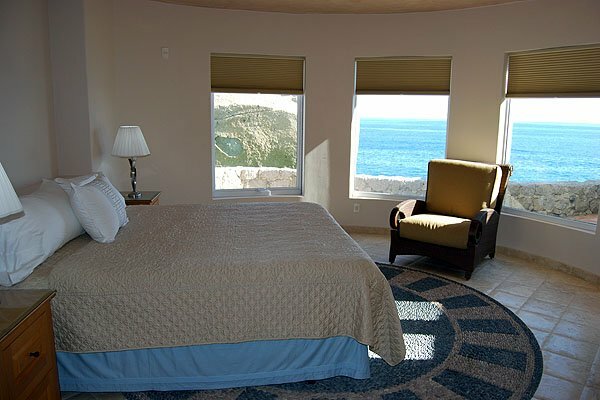 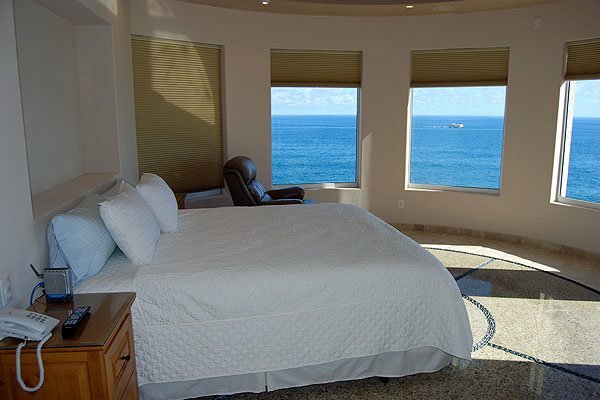 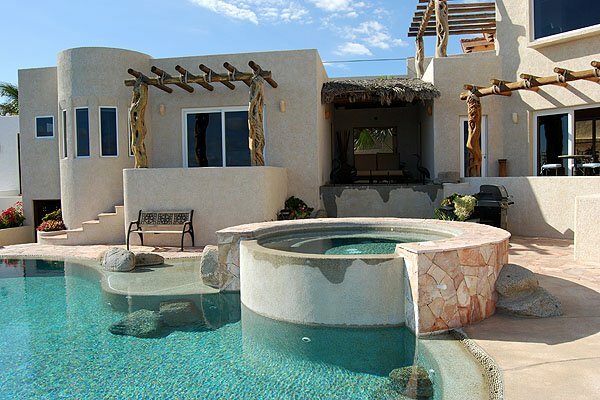 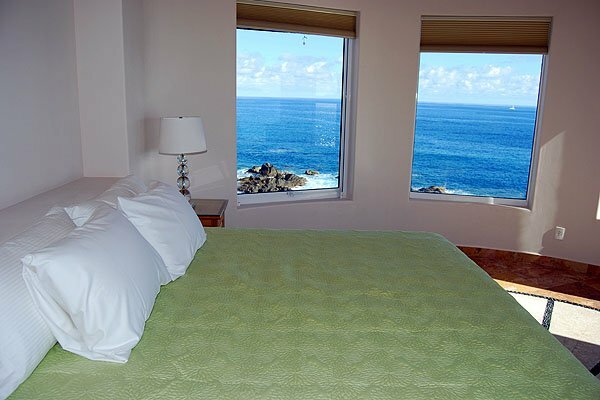 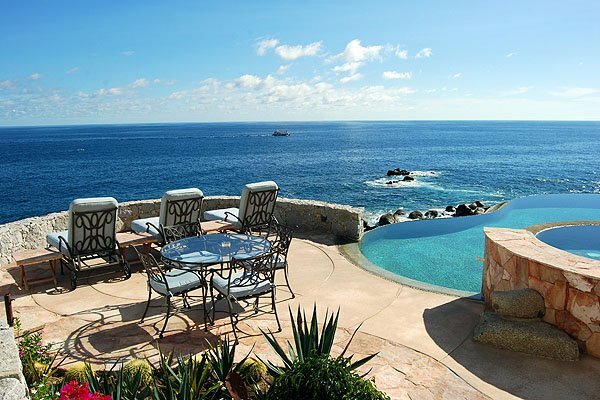 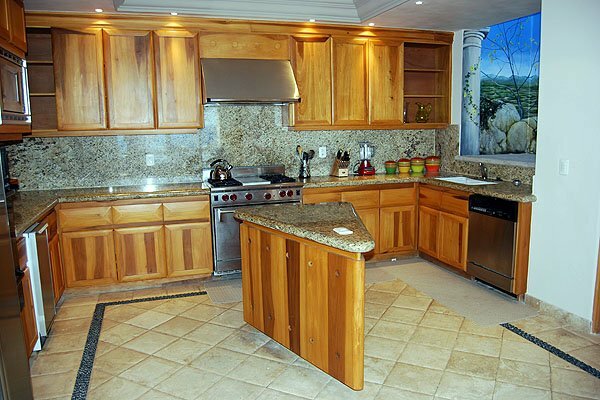 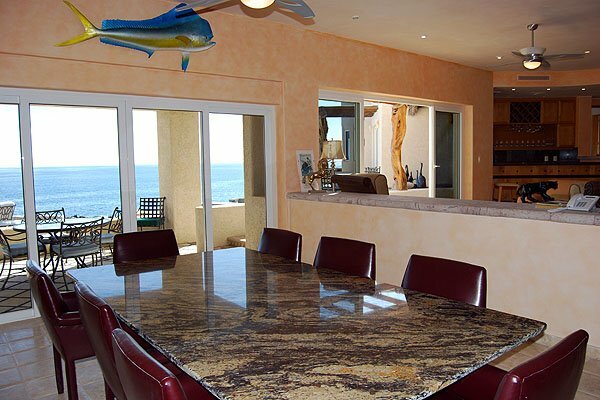 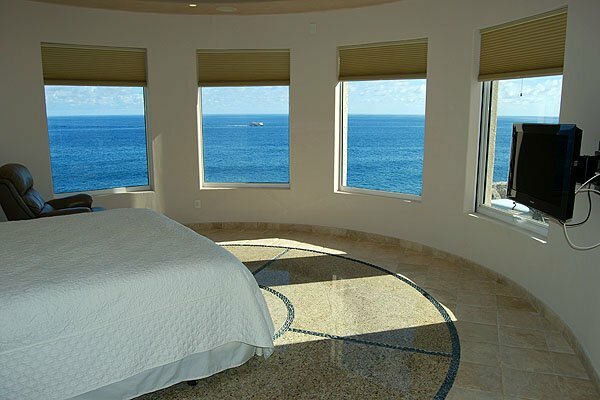 ft., 6 bedroom residence that sits right on the Sea of Cortez with awesome views of Lands End. 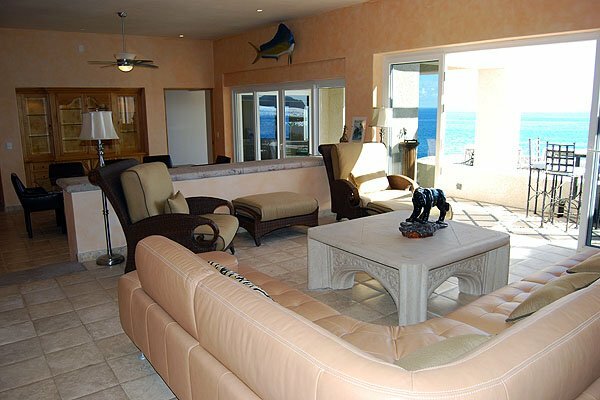 When you enter this villa you imediatly see the Sea of Cotez over the 2000 sq. 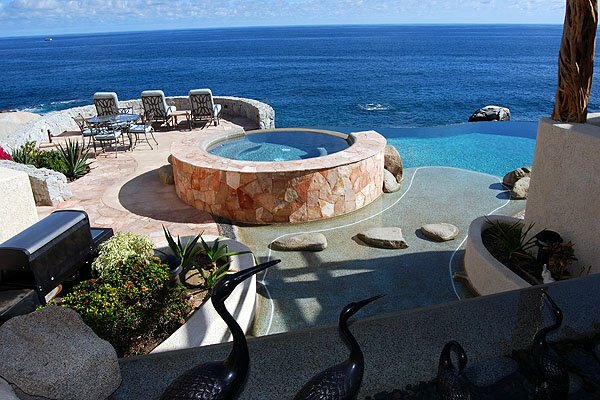 ft. pool and spa area. 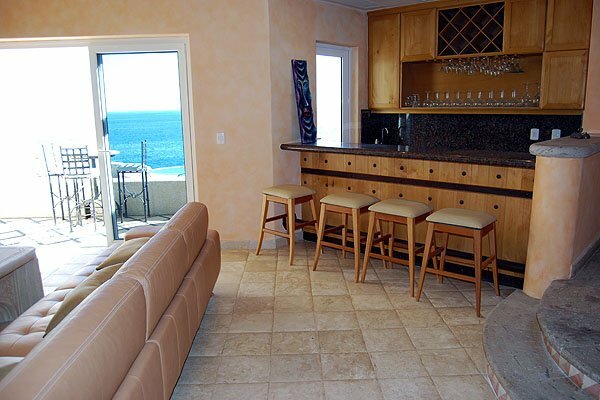 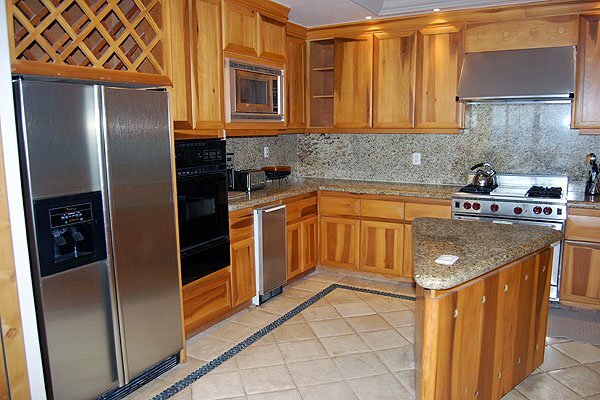 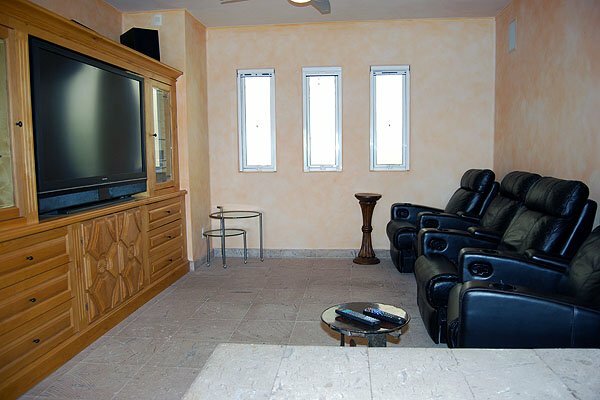 As you enter the main house there is a bar, living room, dinnig room, Media room and kitchen. 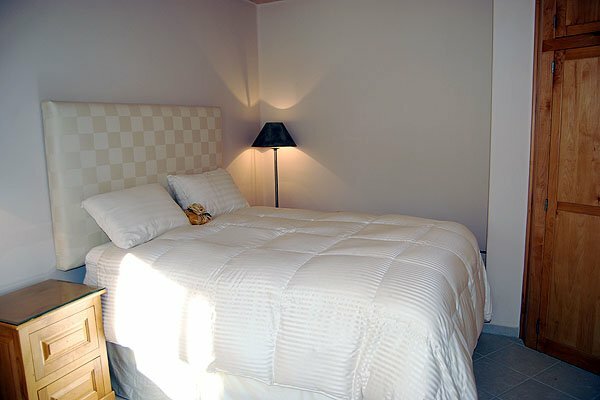 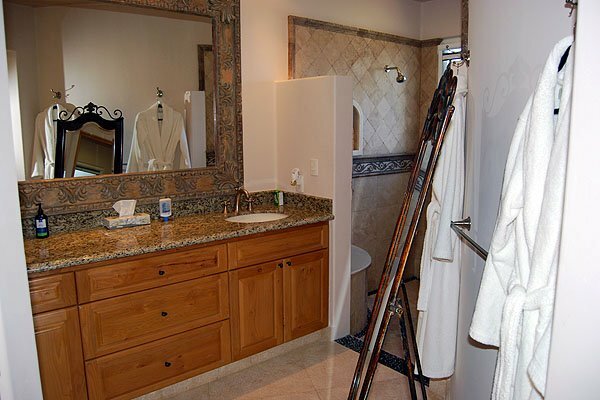 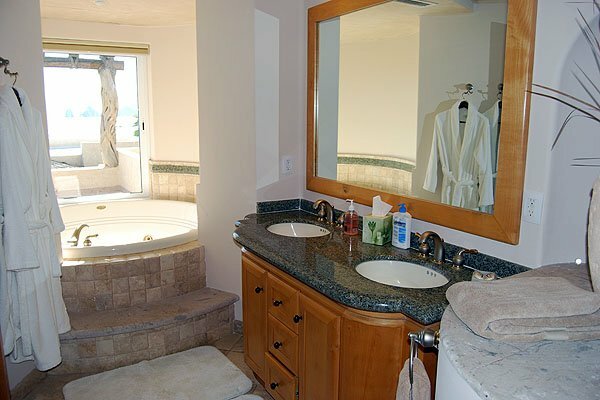 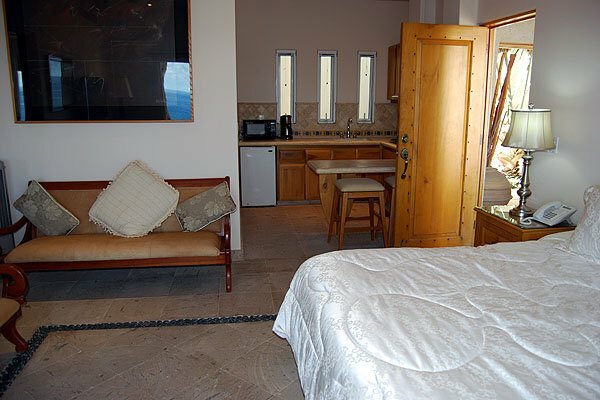 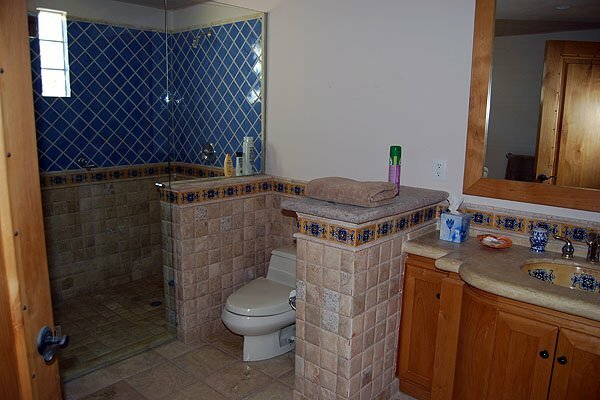 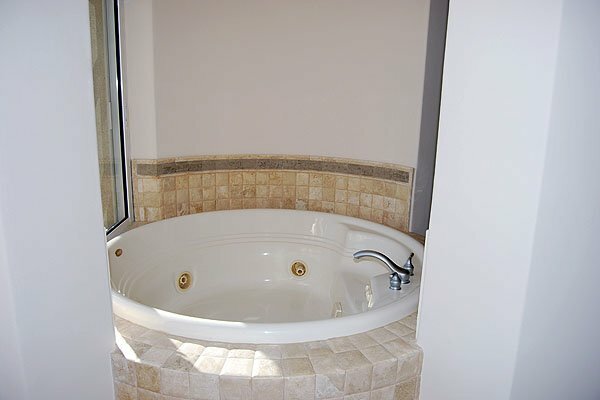 There are 4 master suites in the main house 3 with jacuzzi bath tubs and the guest room also has a Jacuzzi tub. 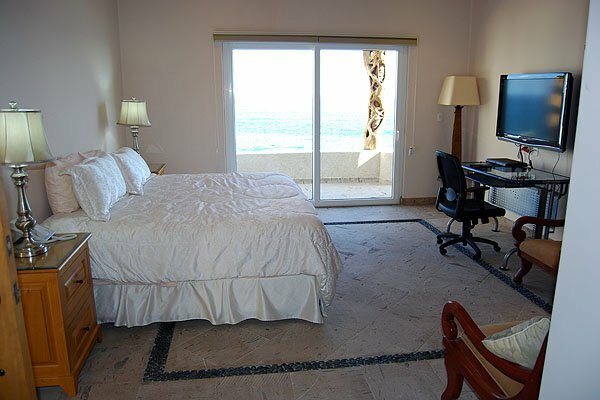 There are flat screen TV's in every bedoom. 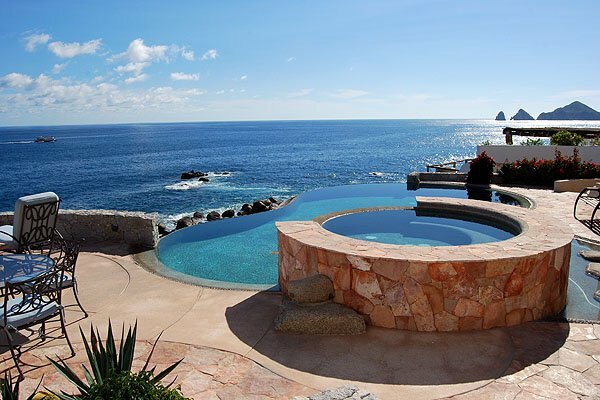 The best asset of this property is the awesome pool area and the spectacular views. 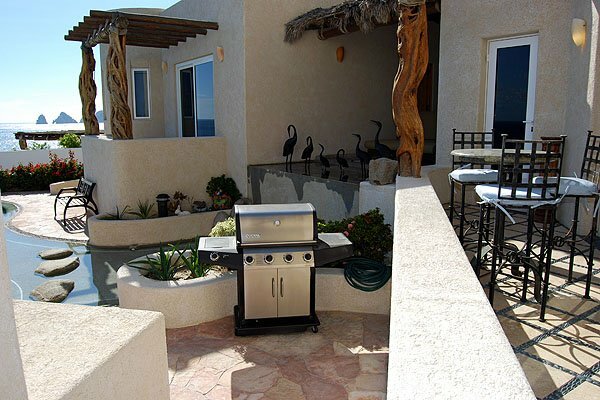 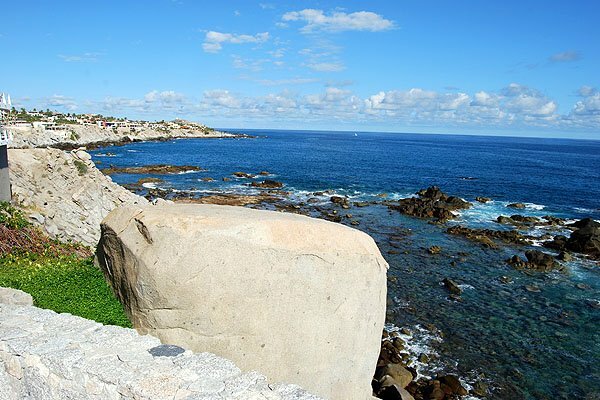 The famous restaurant, Sunset de Mona Lisa (formerly Da Giorgio's), is steps away and Cabo San Lucas is 5 minutes away. 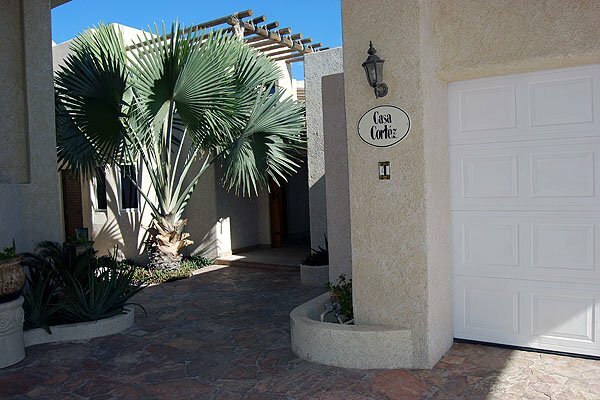 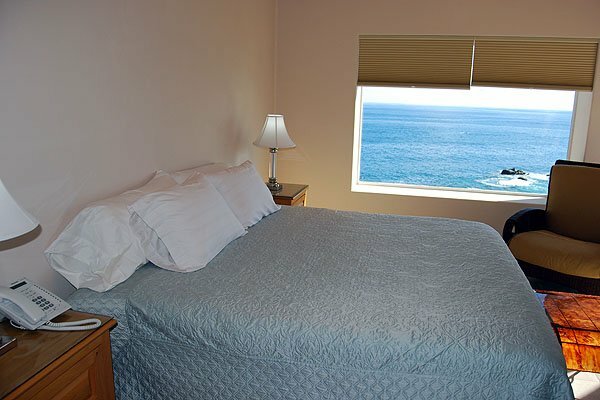 Summer Discount - July 1-October 1: $1200 for 4 bedrooms, $1400 for 5 bedrooms, $1500 for all 6 bedrooms.